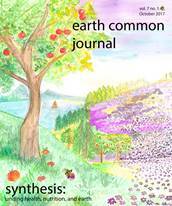 Earth Common Journal - Changing Climates: Social, Political, Economic Vol. 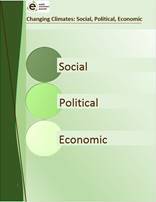 6(1) 2016 was published October 30, 2016. 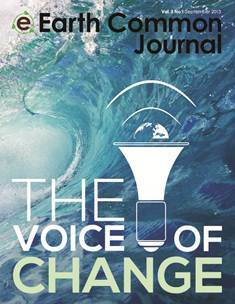 The theme of this issue focuses on how changes in social, political, and economic perspectives and situations can affect how we view and approach issues and concerns in the areas of sustainability, climate change, and conservation. 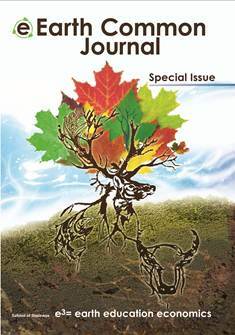 Theme: The theme of this issue focuses on convergence which is the merging of distinct human, technological, industrial, social, and environmental resources into a unified whole to support issues concerning sustainability, conservation, and climate change. 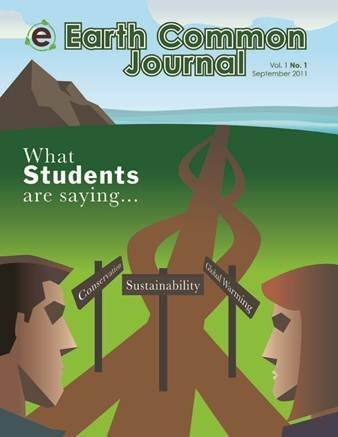 Kía Valdez Bettcher is a first year design studies student at Macewan University. She has previously studied at the Alberta College of Art and Design and the University of Alberta, taking classes in subjects ranging from art history to print studio. Outside of school, she has recently started a design and illustration internship with the Antarctic Institute of Canada and is participating in the Ribbon Rouge illustration mentorship. 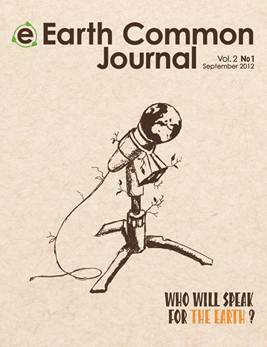 Who will speak for the Earth?